THIS IS DEAD ON ARRIVAL. An airplane touches down at a desolate airport in a remote Colorado ski town. 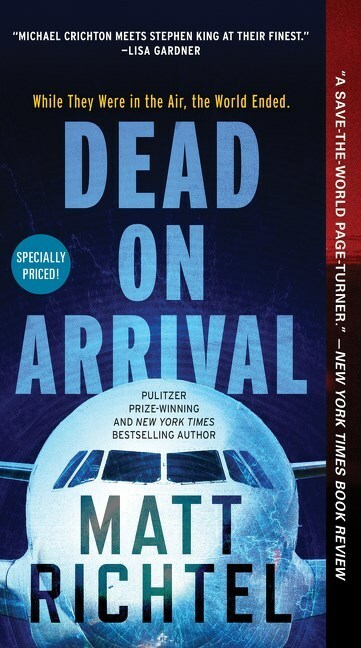 Shortly after landing, Dr. Lyle Martin, a world-class infectious disease specialist, is brusquely awakened to shocking news: Everyone not on the plane appears to be dead. The world has gone dark. While they were in the air, a lethal new kind of virus surfaced, threatening mankind's survival, and now Martin�one of the most sought-after virologists on the planet until his career took a precipitous slide�is at the center of the investigation. Moving at lightning pace from the snowbound Rockies to the secret campus of Google X, where unlimited budgets may be producing wonders beyond our capacity to control, Dead on Arrival is a brilliantly imaginative, intricately plotted thriller that draws on Matt Richtel's years of science and technology reporting for the New York Times, and establishes him as one of the premier thriller writers working today.